Custom Conference/Meeting Rooms — Global Networks Inc. 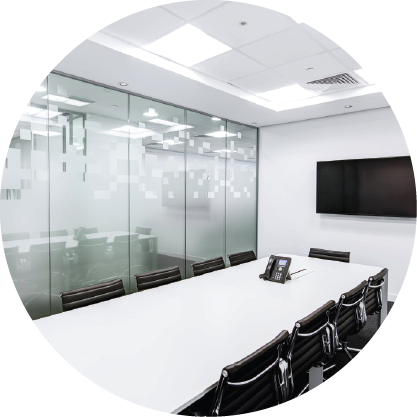 Whether a classroom, meeting room, large auditorium or traditional corporate boardroom, GNI has a solution that will meet or exceed your organization’s needs. Our solutions leverage the latest video and audiovisual technologies to combine video, voice and content collaboration that drive organizational benefits beyond travel expenses and time. Moreover, as much as we value our manufacturer partners, different products and brands have nuances that require special know-how and experience to optimize installation and access all the needed functionality. Our trained technicians receive ongoing education and stay up to date on the latest standards and best practices. We take pride in executing your system design with quality craftsmanship so it functions as desired and is reliable. We strive to deliver sophisticated technology that is easy to use and simple for any user to leverage the capability and performance of the system. We also strive to ensure our programing balances the technical know-how with the human element whether you’re using a touch screen, keypad, remote, or smart device to control your system.